This season has been a tough one both on and off the field. The good news is that both 2nd and 3rd Grade played some good cricket and made the finals, but ultimately consistency in performance has a big effect at the business end of the season. This season starting at 6pm, we have a very important AGM to set our club up for the future. As most of you are aware, all committee positions will become vacant. At the AGM will will ask for any interested people to nominate for committee positions. The current committee members Richard Gleeson, Jarrod Hupfield and myself will be stepping away from our long standing positions on the committee. This means that the next generation of committee members need to stand up and nominate for the key committee positions to continue this great club and take it forward. It needs new blood, a fresh approach, and some enthusiasm from a new group of people to take the club into the next 44 years. We will end the night with a new look presentation night, this year, no set meals and no entry fee. 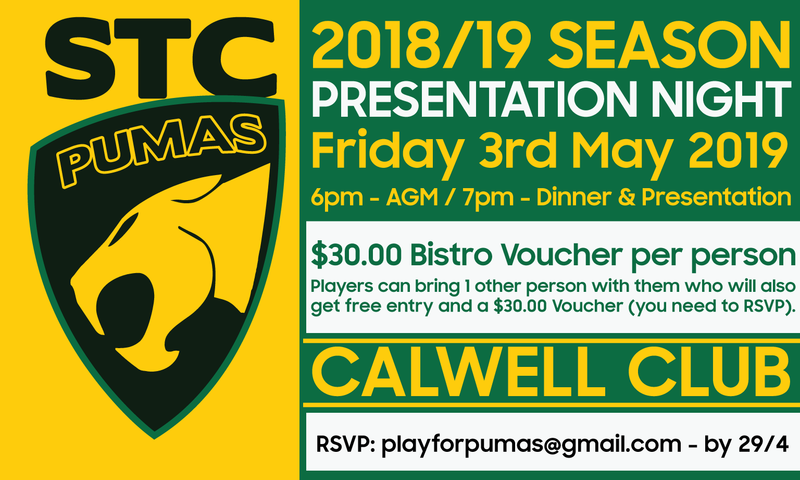 All players and 1 invited guest will get a $30.00 Bistro voucher to order from the Clubs main menu. It should be a great night, and I look forward to catching up with as many of you as possible on the night.